Kerafol’s PCM 471 is a combination of fiberglass reinforced hot-setting waxes with or without a carrier material. 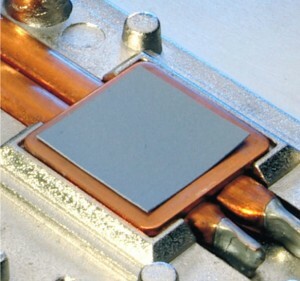 The wax mixture of PCM 471 melts at various temperatures depending on its dimensions and so can fill even the smallest irregularities between the power module and the heat sink. This creates an improved contact between the surfaces and increases heat transfer. It’s special design makes it easy to use and to store. PCM 471 is optionally available with single-side adhesive. Click to Get a Quote for Keratherm PCM471!